Chic and super comfy, these satin kimono robes are exquisite. And let’s be honest, you deserve to be pampered, no? They make a perfect gift for your bridesmaids, and they’ll be able to use them for years to come! Also a perfect wedding shower gift or wedding gift! Many personalization options and trendy wedding colors and embroidery options. Plus, 7 day processing! “Bride” rhinestones come in 13 color options. All other text is in clear rhinestones. "Bride" rhinestones come in 13 color options. Other rhinestones come in one color. We also have rhinestone robes that say: "Matron of Honor," "Mother of the Bride," and "Mother of the Groom." You can create your own set, or we can make a custom set for you! Contact us and let us know the specifics and we can put together a set for you. It’s easy! Tailored collar, self-tie wrap belt, inside tie, and a pocket. All of these robes are personalized with a monogram, an overlay, or a name. Get creative! If it has 11 characters (including spaces and punctuation) we can put it on a robe! 1. 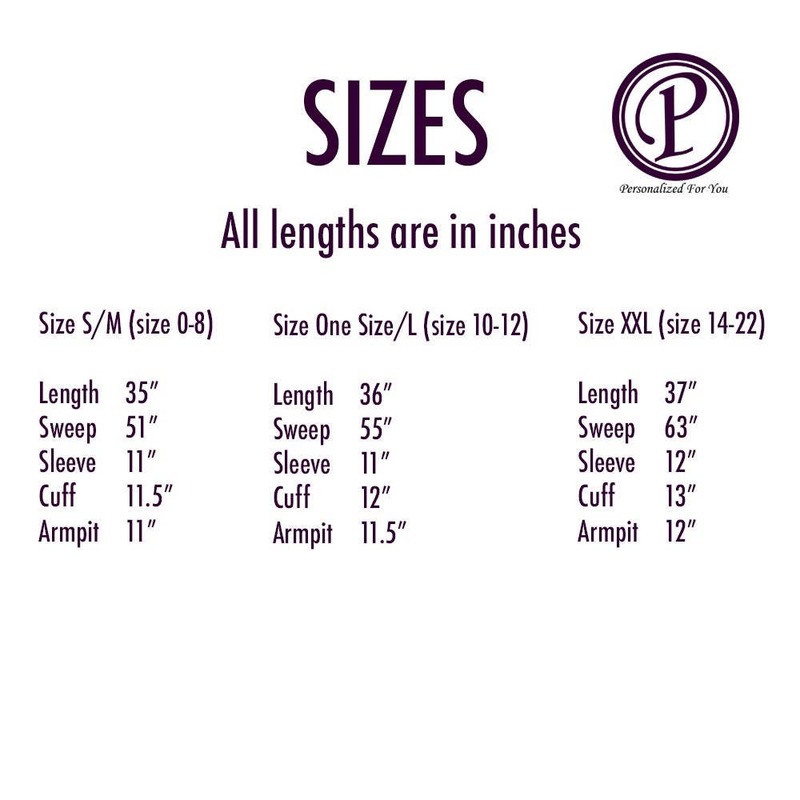 Color and size of each robe. You can mix and match colors for your set if you prefer. Refer to the images above for color options. You can also put these colored rhinestones on one of our colored robes. Check out our store listing. 2. 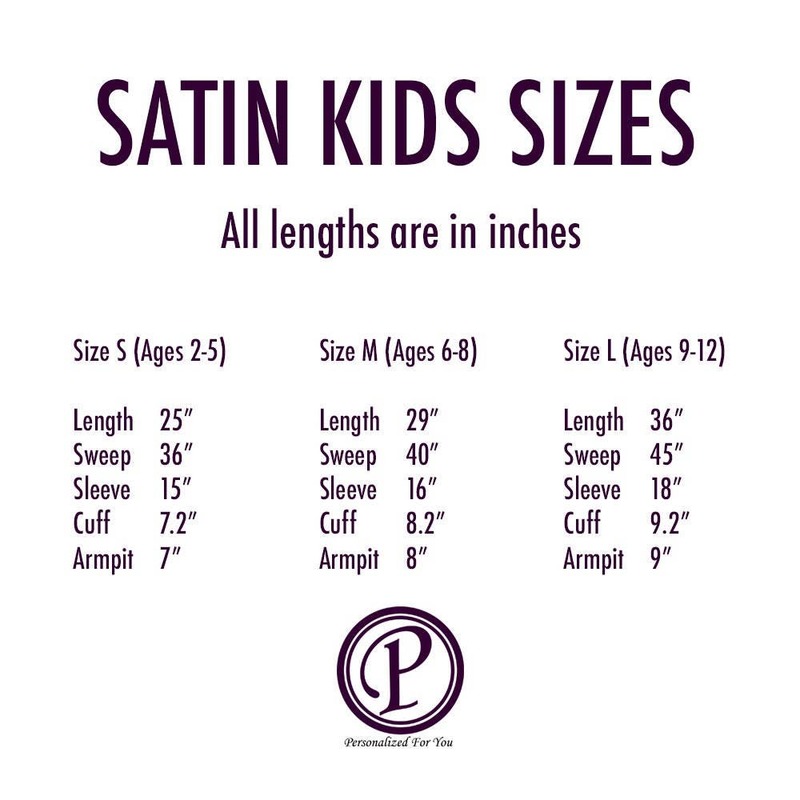 Location of embroidery (if any). The image above shows you where the embroidery is placed. Please indicate which location you want your text to be on by selecting the proper option in the “Variations” panel during checkout. 3. 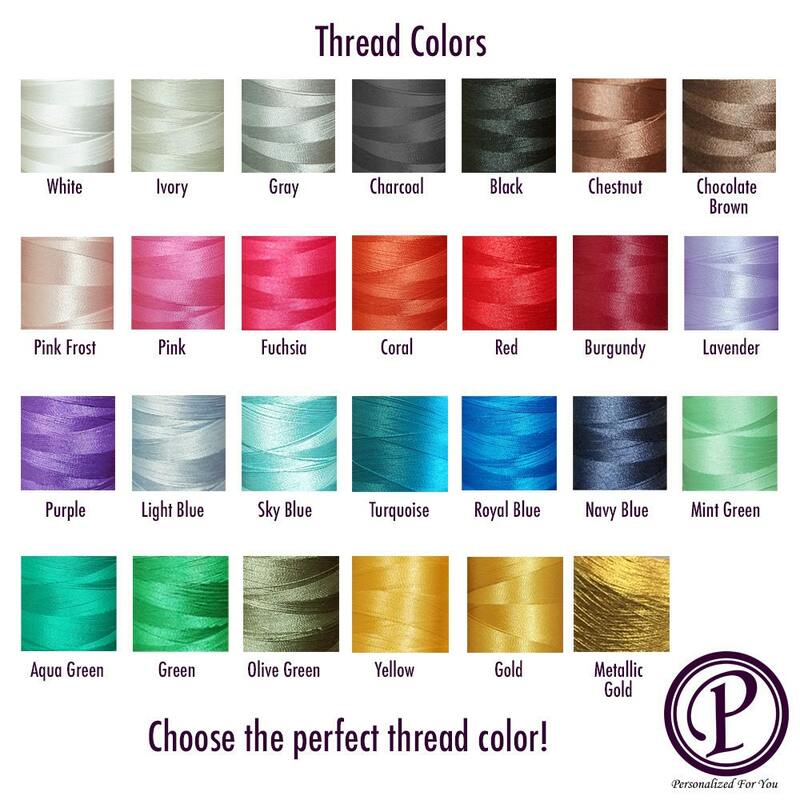 Thread color (if any). For color options, please see the image above. 4. 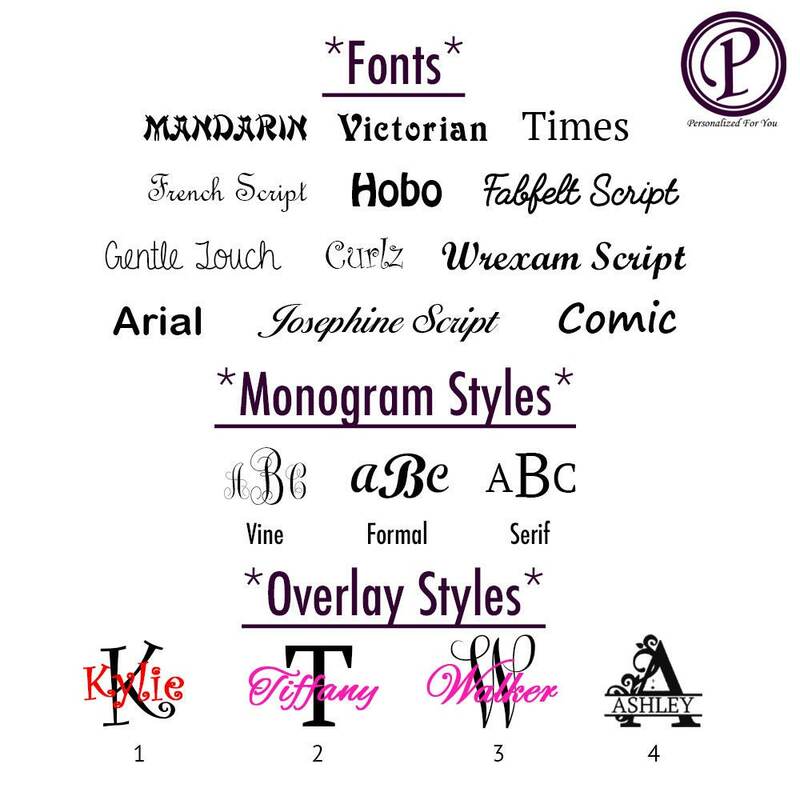 Monogram, Overlay, or Font option (if any). See the image above for monogram and font options. 5. Name, Overlay, or Monogram initials (if any).